I'm really thankful that my husband has taken over grocery shopping after the birth of Baby T and all I've been doing is writing detailed shopping lists for him. Now I'm back to doing the shopping myself, with two kids in tow. 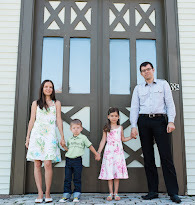 It's 'fun' but I have to time it just right to be in and out before a melt down - mine or the kids. We always bring reusable grocery bags with us and I'm always looking for more because my family's appetites are growing! I find myself needing more than one cart now when shopping for four weeks worth of food. Recently, I was contacted by ADK Packworks, which is based out of Vermont, practically my neighbor. 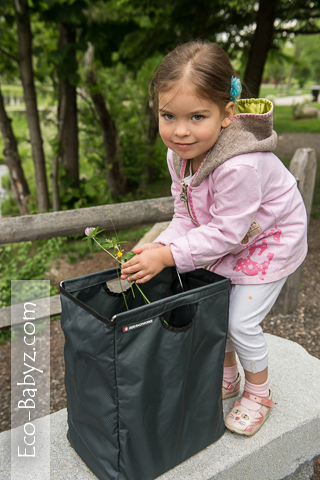 I was really intrigued by the concept of The Grocer bag and we decided to try it out. In short, it's a-w-e-s-o-m-e! I actually think it's too nice to be a grocery shopping bag. So far I've used it for everything but food shopping! 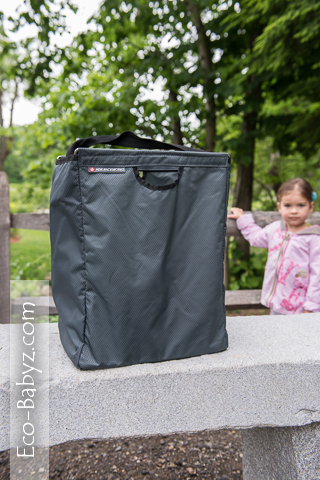 The Grocer has traveled with us to the park, the beach, visiting friends and family, etc. I love that it has a rigid frame and stays open, it makes everything much easier to find. I found it to be the perfect size for day trips and I put snacks, towels, spare clothing, and water bottles in it. There are three ways to carry it - backpack style, using the handles, or over-the-shoulder. I've mostly been using over-the-shoulder but I love having the option of backpack carry for when I need my hands free with the kids. 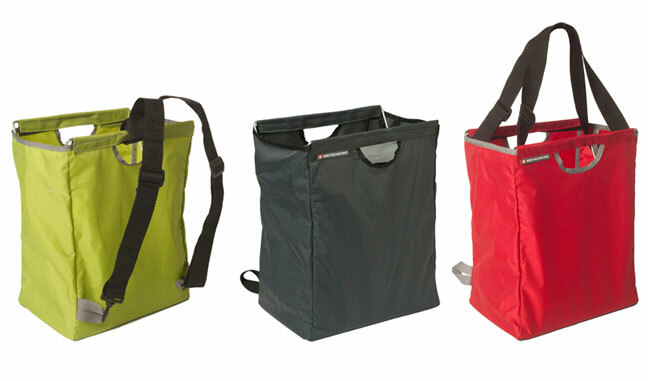 The Grocer comes in three colors and retails for $25 each. 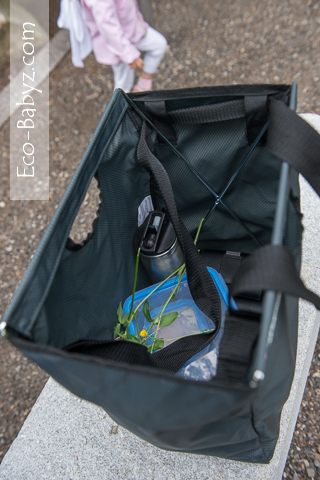 It may seem like a lot for a reusable shopping bag, and it is, but it's so much more than just a bag. 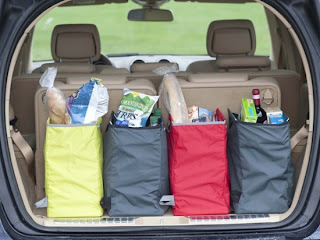 It's very sturdy, it's made to last, it can hold a lot of groceries. It's very versatile and great for organizing your trunk and car. It's perfect for city dwellers too, you can even wear it riding a bike. I love that it is stiff, so I could put it in the back of my yukon and not worry about it spilling when I open the back hatch. I like that I can carry it on my shoulder when I am shopping at outdoor markets! 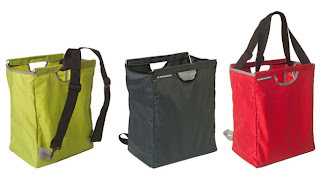 I really like that it has a frame, so I don't have to worry about opening a flimsy bag when loading up my fruits and veggies! I like that it folds flat. I'd keep this in the trunk of my car and take it to the flea market.